The most feature rich of the two stacks. The BackPacker Stack backpacks (minimize) stacks same way as Stacks own 'Hide' feature but with a twist. Stacks own hide feature hides everything and leaves you with a white box and no clue what's compacted! Both BackPacher and Overview deals with this problem. You can add notes to each backpacked stack and you can also store stacks within the Backpacker Stack you don't want published yet. 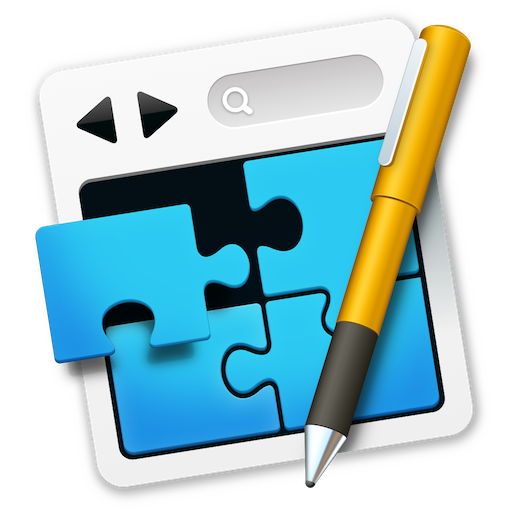 The Backpacker Stack has a feature that'll let you scale your entire RapidWeaver Stacks page in edit to make it easier to organize and copy paste to your page. You can also store both colors and code snippets within a Backpacker Stack. And there's an option to scale images added to a Backpacker stack in Edit Mode but have it published in the original size. The Overview Stack has fewer settings but one advantage over the Backpacker Stack. With one click you can compact all Stacks on your RapidWeaver Stacks page added to an Overview Stack. And you can of course expand all stacks with one click. Other than that you can expand individuel Overview Stacks with also with one click and compact it again when you're done working with it. The Overview Stack is a huge timesaver when working with a crowded page with lots of content. The Overview Stack is the latest and smartest of the two but BackPacker has a few other features up its sleeve. 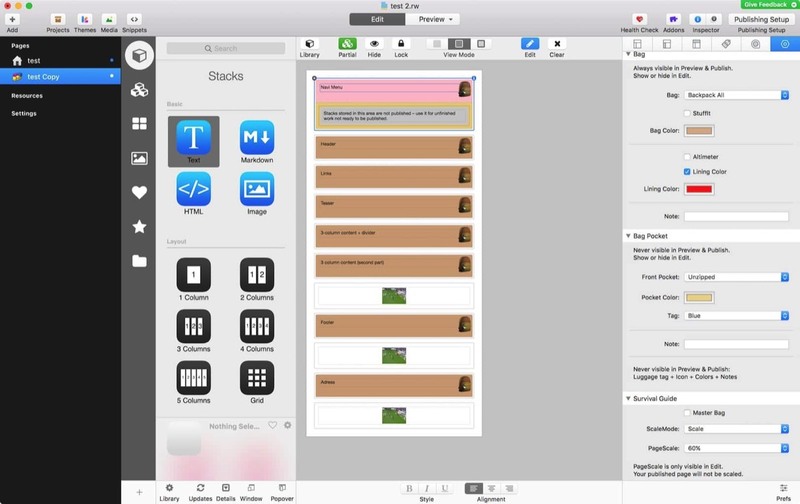 RapidWeaver, stacks, responsive, organize, layout, workmode. 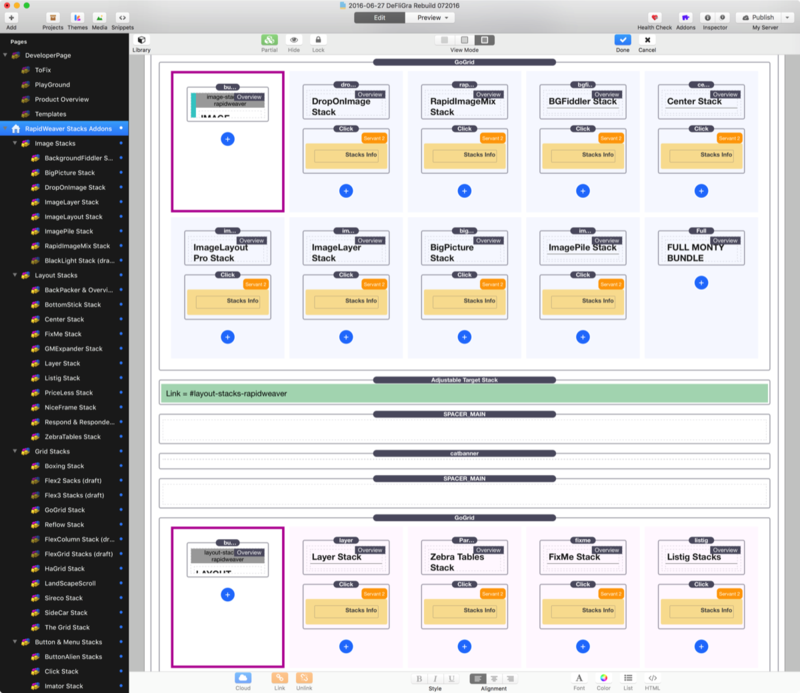 BackPacker Stack and Overview Stack both their magic in the Edit Mode. The Overview Stack is used all over DeFligra.com – take a look at the Overview Stack in action: Frontpage of DeFligra.com.